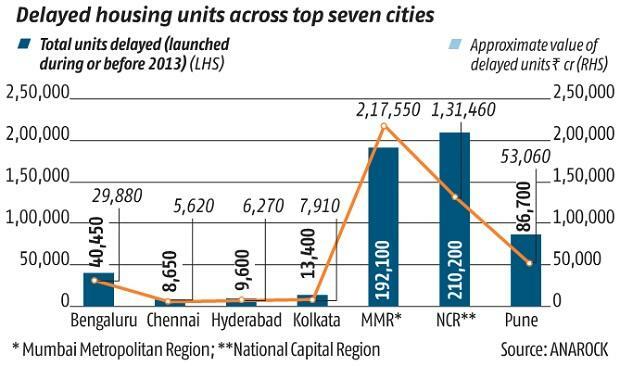 As many as 561,100 housing units worth Rs 4.51 trillion across top seven cities are stuck ever since they have been launched during or before 2013, according to data by ANAROCK, a leading real estate consulting firm. 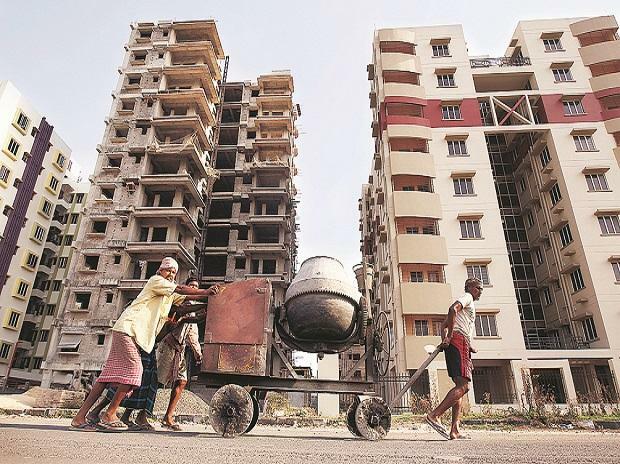 Of these, the National Capital Region (NCR) and Mumbai Metropolitan Region (MMR) collectively account for 72 per cent of the total stuck housing units across the seven cities worth Rs 3.49 trillion. On the other hand, the southern cities of Bengaluru, Chennai, and Hyderabad together account for 10 per cent of the overall stuck housing units of a total worth of Rs 41,770 crore. Some developers' lack of resolve to complete their projects, preference for funds diversion, tightening credit crunch are among the reasons delayed housing units. “Lack of project clearances for whatever reason also contributes to the piling up of housing stock. In the pre-RERA era, many builders launched greenfield projects without the requisite approvals in place," said Anuj Puri, chairman, ANAROCK Property Consultants.